Custom Loma Wheels – Installed! The Loma custom wheels have been shipped and installed! The project is now complete as far as the exterior goes! Yahooo! 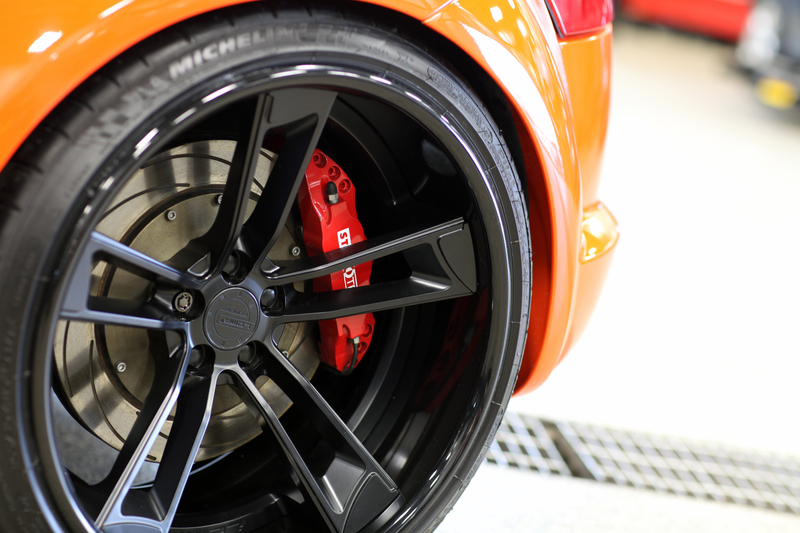 Here are the first pics, taken at the tuning shop after the wheel install! 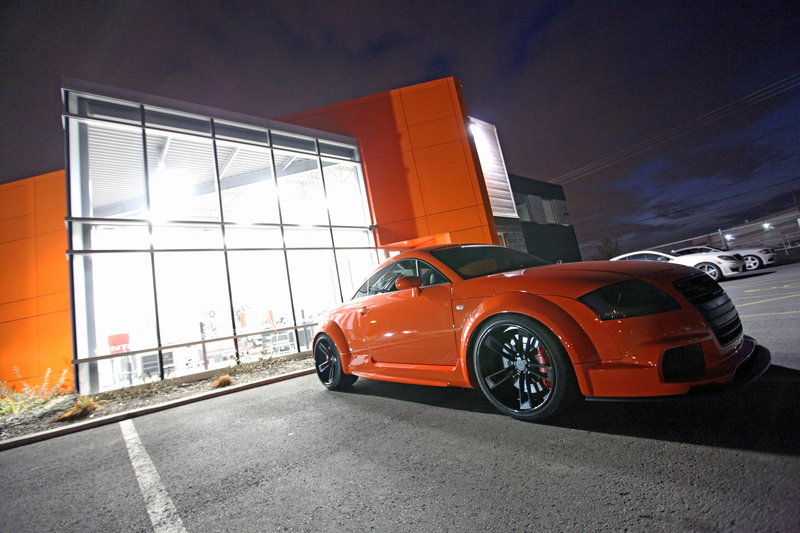 This entry was posted in Audi TT MK1, Black/Orange Look, Paint and tagged wheel, Wide Body Kit. Bookmark the permalink. 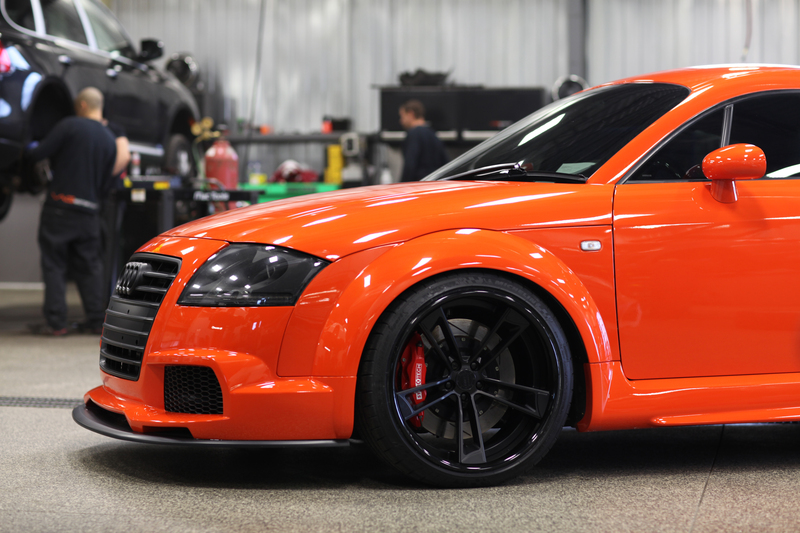 10 Responses to Custom Loma Wheels – Installed! looks fantastic Andre! the whole project has really come together! nice…… wish I had taste and some money…… Nice to see someone having such fun…..
what is the name of that body kit? If interested, I can get you a quote. is it still available to purchase ? Contact Maurice at DMC. You may be lucky, but I’d be surprised if he has one. To my knowledge, there are only 2 TT that have this kit installed, worldwide! Hey Andre, many thanks, I managed to get hold of Maurice 🙂 so its all good. I found the Loma post too with regards your own wheel specs, could you confirm your tyre set up for me, as i would like to go 19″ but may go the 18″ route depending on the tyres used.